Why are Positive Reinforcement Trainers Accused of Bribing? Why are positive reinforcement trainers often accused of bribing? This misconception may have erupted from the tension derived from trainers of different schools and methodologies. There appears to be, indeed, some conflict between trainers using force-free training methods and balanced trainers using a variety of tools and techniques to train dogs. This conflict can at times become quite fierce, ultimately leading to name calling. The saying:“If you put three dog trainers in a room, the only thing two of them can agree on is that the third is wrong" is very close to truth. Force-free trainers, are often referred to as "cookie trainers", "treat trainers", "pure positive" and "bribery trainers". These terms are often used to depict trainers who object to the use of certain training tools and training methods based on intimidation, fear and compulsion. The purpose of this hub is to debunk some common myths and clear some misconceptions which seem to be flooding websites and other media venues. The following are some common misconceptions used to portray force-free trainers. I am not sure how these misconceptions have formed, but there are an abundance of websites that have been unjustly posting erroneous information. Some of this misinformation demonstrates a strong lack of knowledge in learning theory. *Note: to clarify, the term positive in this article denotes a force-free trainer. If you find a trainer who uses choke collars, prong collars and electronic collars and uses the word positive to depict his/her training, he/she is likely using this term for positive punishment not positive reinforcement! 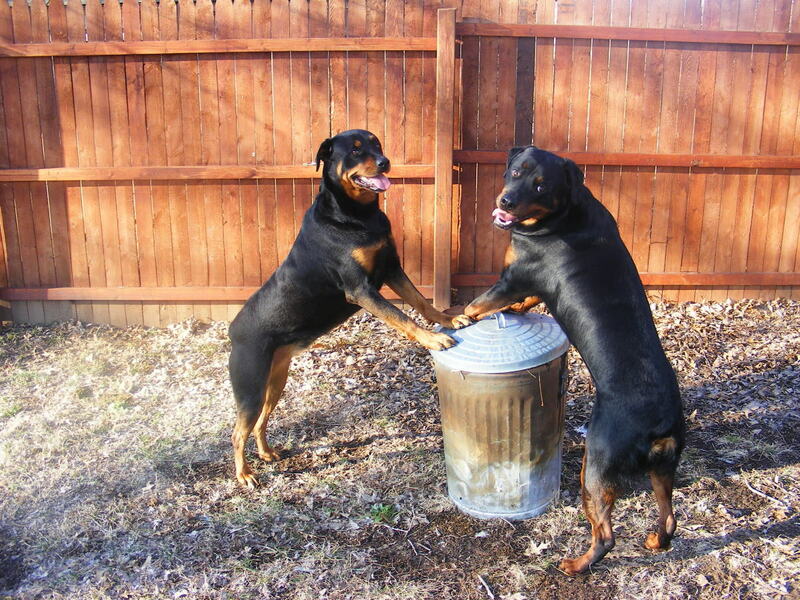 Positive reinforcement can, therefore, be a word of praise, a gentle pat or a fun play session. If the trainer uses the Premack Principle to train dogs, he or she may heavily rely on life rewards such as access to another dog, a game of fetch or the opportunity to go sniff some grass. There is a saying in the world of force-free trainers and that is: "positive does not mean permissive"! Force-free trainers are often accused of spoiling dogs and ruining dogs with excessive permissiveness. While it is true that training methods based on coercion are not used, it also true that force-free trainers do use consequences for actions The consequences, however, are never aversive. They are rather meant to help the dog figure out what behaviors are best to repeat and which are better off being extinguished. Negative punishment is used rather than positive punishment.To learn more about the differences between the two, read: A guide to behavior modification techniques and terms. Not true. 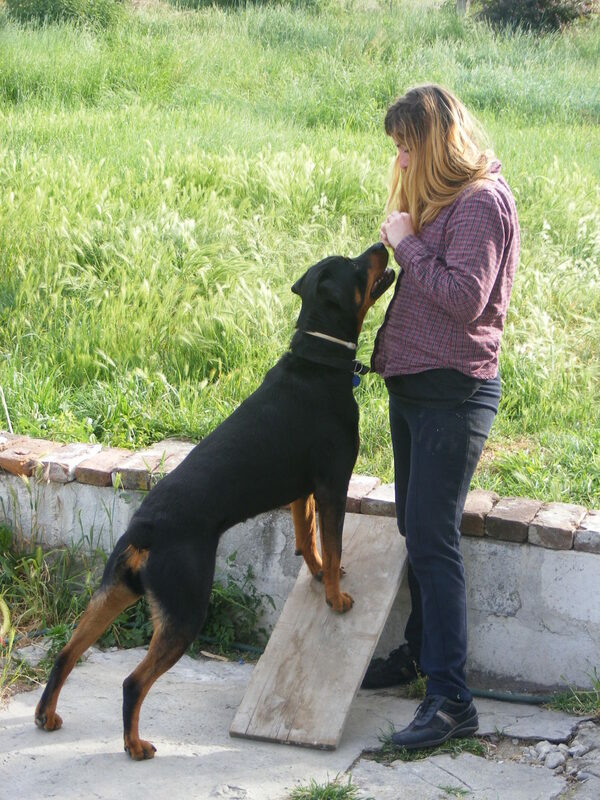 Positive reinforcement training can be very effective in training even large, stubborn dogs. According to the Association of Pet Dog Trainers, it is a myth that only small, happy dogs respond to positive reinforcement. Killer whales and tigers have been trained using positive reinforcement; therefore, there is no reason why a large, stubborn dog weighing 100 pounds should not respond! This is far from truth. Many reputable dog behavior specialists and veterinary behaviorists treat severe cases of aggression every day and with success using force-free behavior modification programs. To go to the root of the problem, a good behavior modification program should not focus on suppressing the outward manifestations of a behavior, but rather, changing the underlying emotional state. 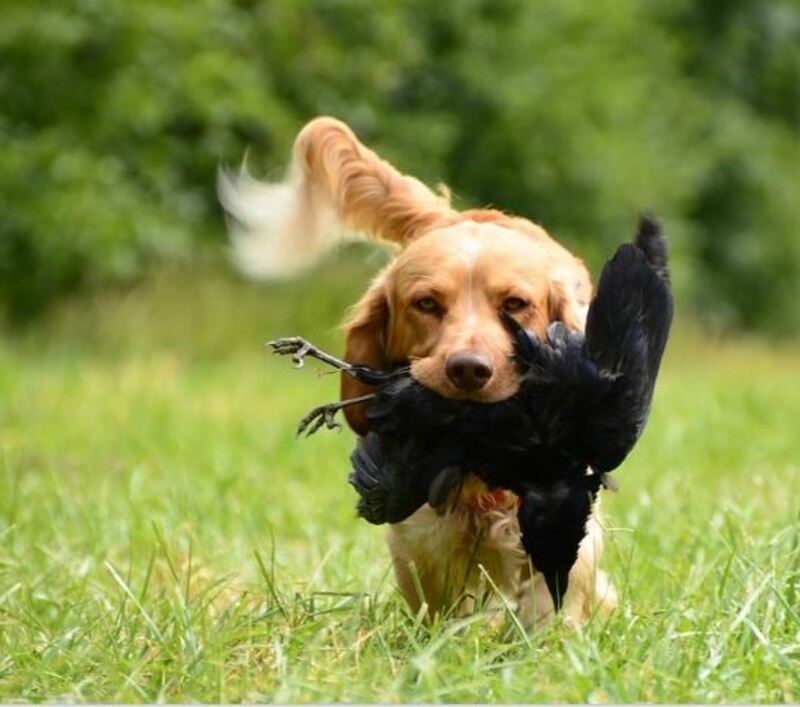 Sadly, there is a myth suggesting that if you want to compete in any canine sport and put titles on your dog, some compulsion training is needed. Unfortunately, there are some trainers and owners that are so driven to compete that they do not care about the measures needed to get their hands on some ribbons. They may, therefore, resort to shock to get that perfectly straight sit, or give a harsh prong correction for correcting a dog failing to heel. Yet, there are many force-free trainers who have accomplished a whole lot and their homes and offices are full of cups, trophies and ribbons! They may just not brag about it enough; but rest assured, there are plenty! A reputable, positive dog trainer is concerned about those extra calories derived from giving treats. For this reason, he or she will recommend making adjustment to the dog's diet. Often this entails reducing the quantity of food fed at dinner time. If dog owners are concerned about giving treats for either health, training principles or dietary reasons, they can always use a portion of their dog's food and use it for training purposes instead of giving it for free. Nicole Wilde in her book "So you want to be a dog trainer" suggests mixing pieces of hot dogs with regular kibble in a bag so the kibble becomes more appealing. Of course, owners of dogs with health problems should always consult with their vet before giving any types of treats. Often, there is belief that positive trainers ignore bad behavior. This errouneously implies the trainer cares less about the dog rehearsing bad behaviors just as a mom fails to scold a child who is whining in a store asking for candy. Positive trainers do not ignore bad behavior; rather, they prevent bad behavior from happening in the first place, by managing the dog's environment so to prevent rehearsal while rewarding appropriate behaviors. They may withhold reinforcement for undesirable behaviors which can be much more effective and less damaging than repeatedly correcting a dog. They do not ignore behavior or fail to provide consequences; rather, they acknowledge the problem, manage the dog, reward appropriate behaviors and wisely choose consequences that do not harm, hurt or intimidate the dog. *Note: there is no such thing as "pure positive" dog trainers. This is a term crafted by balanced trainers for the purpose of depicting trainers who use exclusively positive reinforcement. The term is quite inaccurate for the simple fact that positive trainers do not rely exclusively on positive reinforcement; rather, they also use negative punishment and extinction when training dogs. Alexadry© All rights reserved. Do not copy. The rapid reward idea is tantalizing; this is a must try for me. Sounds like a lot of fun. Wally's a food-first dog, so I know what you're talking about :) For a while, I made sure I have no food anywhere in his sight. I mean, he can smell it I'm sure, but something about seeing it really seemed to distract him initially. Also made sure I had no treats in my hands and avoided my pockets for a while also. After that, I kept training as usual. The treat wouldn't be in his sight until he performed the behavior and got the click and then it's just straight down his throat (he sees it long enough to orient his mouth to it and that's it). It's also small so no lingering, taking sweet time to chew it, no crumbs to hunt for, etc. I wanted the "reward event" over and done with quickly as possible (sounds odd now that I think about it considering I'm "reward-focused" training). He's eager for it, but he doesn't get time to wonder "where did it come from?" and sniff around, etc. Another thing I tried was what I call "rapid cues". In otherwords, I'm throwing stuff at him to do, marking it, quick reward, and throwing another instruction. He doesn't get time to wonder about it because he's got another thing to do right off the bat. And of course, any non-performance gets no reward. To really get into his head, I would eat the treat (I used something I like, such as deli turkey). So he's REALLY feeling like he's missing something when he doesn't perform. Pretty soon, he's staring a hole in my head with his ears straight out. Kblover, I had a problem with introducing treats first. My dog would pay too much attention to the reward and it interfered with her performance. How do you guide the focus from the treat to the command? I wish the word "bribe" would leave the dog training vocabulary because it's not what's happening. What's happening is that the treat is part of the context, so the dog thinks it's part of the instruction or chain. I.E. See treat - hear sound (verbal cue) - do behavior - get treat. It's not so much "bribery" in the human sense - just that the treat is part of the "picture". So, again, a label derived from not really understanding the process of learning, let alone the process of force-free/non-aversive trainers. "Bribery trainer" that's rich. Doesn't even make sense. Oh and "purely positive" drives me up a wall, too. And yes 1000x to the not-always-food sentiment. It's insane how much dog training is a "war of styles" instead of understanding how dogs actually learn. Instead, it's humans sniping at each other from behind labels and "camps".
" So what are they going to do when they don't have a choke chain?" What a wonderful observation! Before being a positive trainer I used prong collars but now I feel like a I have "evolved" as a trainer and no longer need short cuts or crutches to get the results I want. I am happy to hear you have embraced positive training and are enjoying it with your dog, best wishes! Clickers are very positive, but are almost nonexistent here. I mentioned how much I love them to a fellow dog trainer, he said, "What are you going to do when you don't have a clicker on you?" I've also heard that response when using treats as rewards. Two times that happened was with owners that use a choke chain, so what are they going to do when they don't have a choke chain? Same thing I do: phase it out. I've used a choke chain and have gotten superb results, but now that I've learned to use positive consequences to reward positive behavior to get a positive result instead of using a negative reward to stop a negative behavior to get a positive result, my results have greatly improved, which is pretty darn amazing. And it's funner! 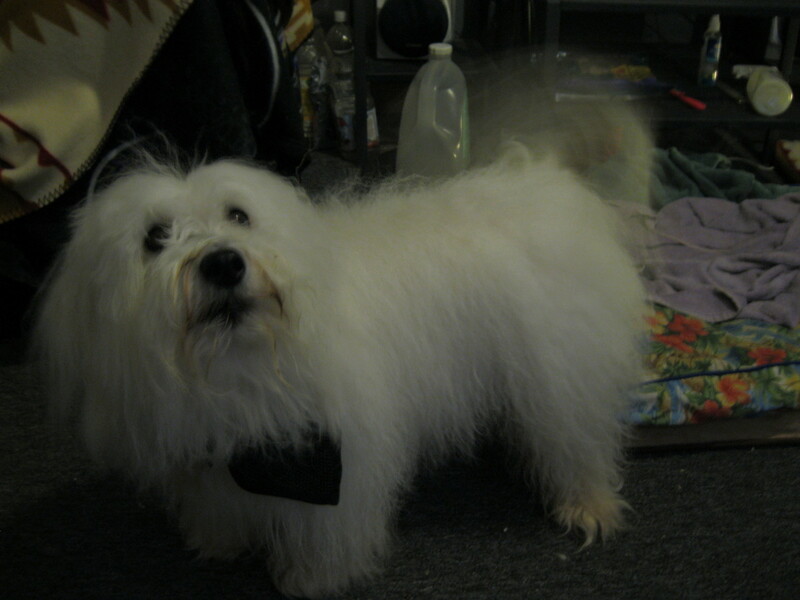 I'm not some special person with a gift or professional certifications; I'm simply a responsible dog owner. Wow agilitymatch, I think your record of titles is awesome and counts even more for the fact you were able to do so using positive methods! 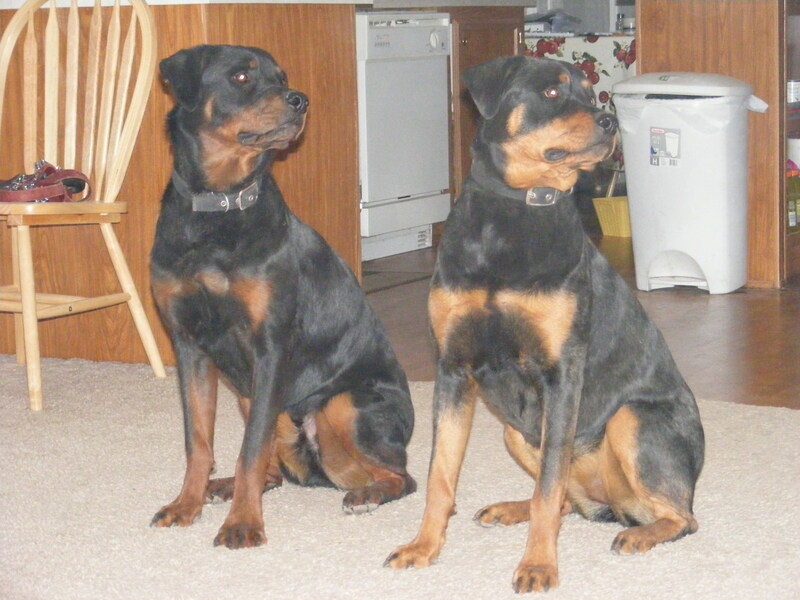 When my dogs were younger and I did not now better, we used to see a balanced trainer which suggested a prong right away and aversive training methods which shut them down in offering behaviors. When I decided to ditch this trainer and train my dogs myself using positive methods only, the changes were quite drastic. They started offering behaviors and having joy in training and the changes were quite drastic! We are now competing in Rally-o and Freestyle and their body language is so happy you could tell they love it! Thanks a bunch farmloft. The hot dog trick works awesome in many cases and it is also a good way to save $$$. I like to keep the kibble and hot dog together in the fridge overnight. Good article and I liked how you explained about the food treats (I like the hotdog with the kibble trick). I found you hopping hubs. Voted up. Thank you, I am happy you enjoyed it! Good training includes rewards not bribes. And rewards cause a behavior to be repeated over and over. This is scientifically proven! Nice hub! It's my experience with our pets that if they love you, they want to please you, and you can use that, lovingly to teach them good behavior, it does not have to be a bribe, but rewarding something that is good to inspire the pet to repeat it on a constant basis.